We’re in a gold rush! The shining precious metal is making a comeback. 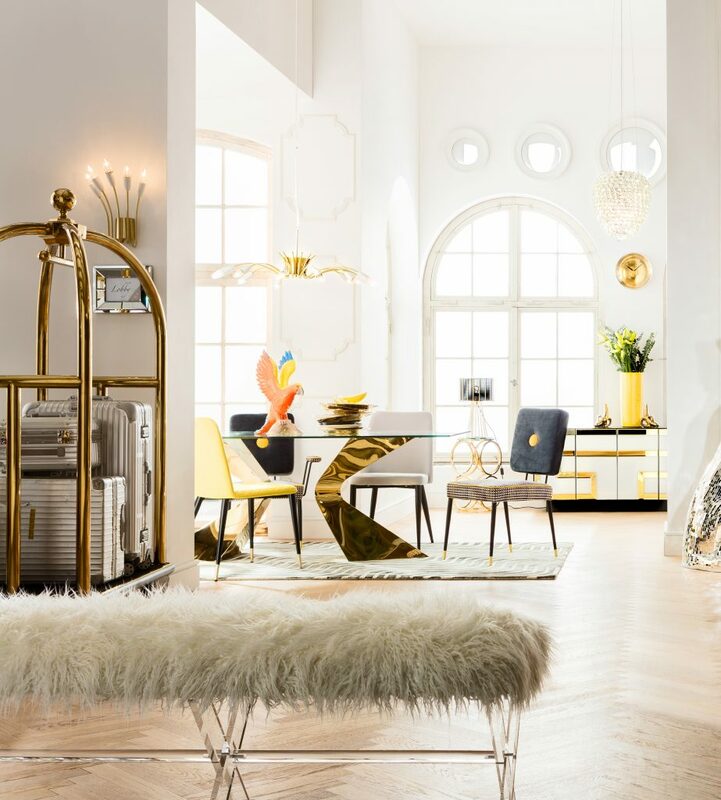 Gold is once again at the forefront of interior trends. Anyone who thinks of baroque excesses, however, is completely wrong, because the precious metal is experiencing its revival in an elegant and modern style. 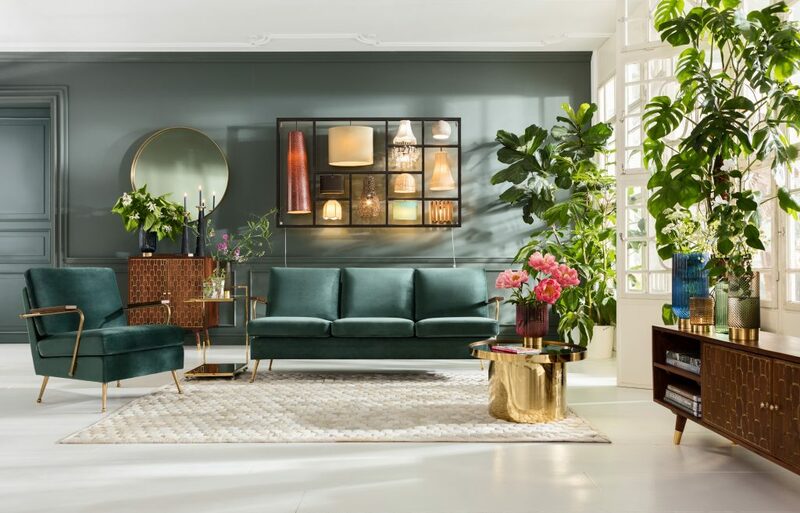 Here are some furnishing tips on how to bring a golden age into your home. Gold loves the spotlight. It is in its nature to be an eye-catcher. We use this feature to set specific highlights, which is particularly easy to achieve when gold is used as colour contrast. It looks ethereal and light with white or light pastel shades. On the other hand, it also blends into dark environments, for example, dark grey walls or dark woods, with timeless elegance. The golden rule is simply surrendered to the gold rush, because there are no rules – at least not in the KARE cosmos! You only have to be a little careful when you mix gold with other metals. This can quickly lead to clashes. We, therefore, recommend that you combine a maximum of 2-3 shades of precious metals, for example, silver, yellow and/or rosé gold. Gold is the perfect partner, not only in combination with colours. This precious metal also loves to unite opposites. It is so to speak the diplomat among metals and basically gets along with any material. For example, gold gives matt surrounding surfaces a harmonious ambience. The combination of velvet and gold is particularly trendy. 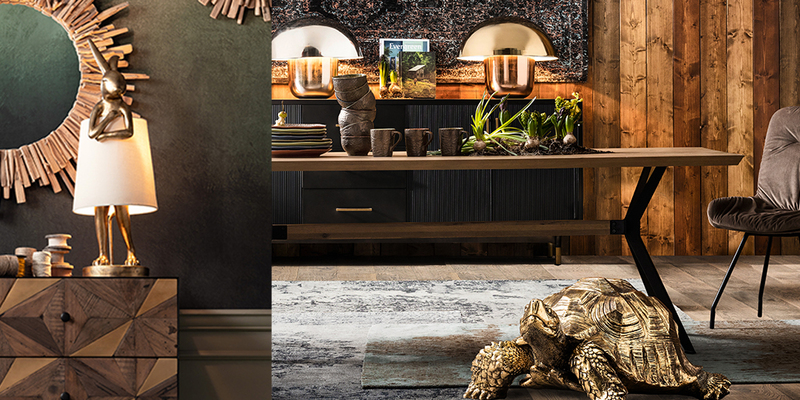 Natural materials such as wood and stone also like to surround themselves with decorations in a golden look. 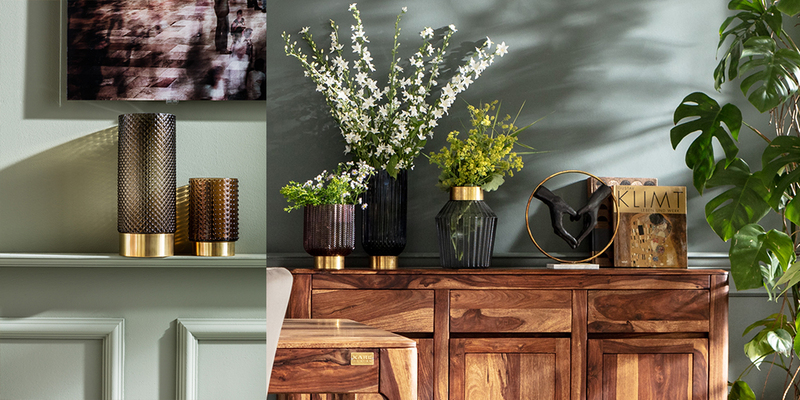 And vases with gold contrast with the flowery beauty of nature. The lustre of gold generates a warm ambience. This is why golden accents look particularly beautiful when they are allowed to transmit their reflective shine to the interior. Lamps with gold are therefore ideal for emitting a warm light and creating a particularly cosy atmosphere. You can add a touch of sunshine to gold-coloured interior accessories with spotlights. By the way, golden accessories can also – completely in the KARE style – be conspicuously different! So if you’re already in the grip of the gold rush, then you’ve come to the right place!